Thanks for the review! I can’t wait to get my hands on this. Do you (or anyone) know if this will be available at Target? I always forget about this one too! Totally happy to have it in a full size Christmas set. Oh my gosh!! I am so excited!! Thanks for posting!!! You’re welcome! I knew you’d be happy about this new stuff too! Hey do you know where I can get the Christmas/ winter set at? I’m dying to know! Thanks! I’m so excited about these! Especially Cherry Chocolate, White Chocolate and Candied Cranberry. Candied Cranberry does sound great. I’m curious about Peppermint Cream too. Also there’s new Disney stuff coming out (Mickey, the princesses etc). 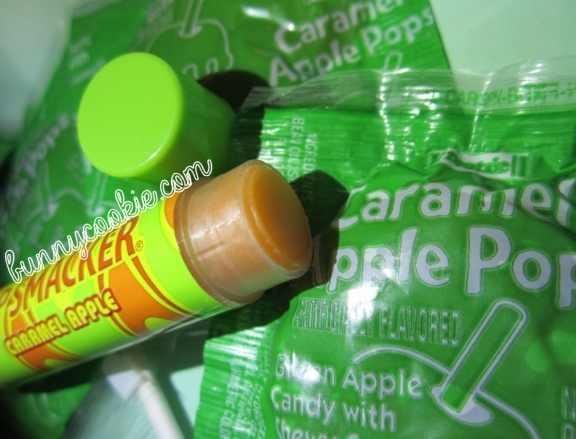 Do you use your lip smackers, or just collect them? Both, kind of. I buy doubles of the new flavors to try them out, but I always add an unused one to the collection. What do you like to do with yours? Both. I collect them to wear. They are a beauty staple of mine and were since I was fifteen (’80s). They moisturize wonderfully, smell/taste divine and look gorgeous. I am looking forward to the holiday assortment. Between Lip Smackers’ 40th anniversary and David Bowie putting out his first CD in ten years, 2013 was really my year. Thanks Heather! I remember you mentioning Candy Cane once so I thought of you when I saw this. your posts always make me hungry 😐 peppermit cream YES. oh ive always liked ribbon candy too but its been years since ive had it, which is good. snowball cookie sounds adorbs too! Snowball Cookie reminds me of older sets they’ve done with cutesy names, so I’m a fan 😀 And yes, so happy Ribbon Candy is back! All true! I’ve noticed that about Sugar Plum as well, sometimes it is sweet and sometimes it is floral. 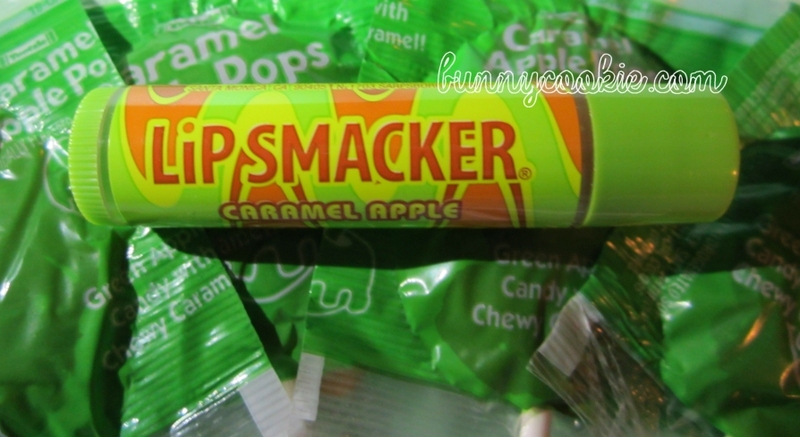 i got my carmel apple and its amazing. i saw the new packaging at target and it looks really nice! very upscale! Yes I love that tin too! I’m probably going to put up some close-up pics of it tonight. It’s one of the cutest things I have ever seen. I bet by this time next month the new stuff will be in more stores, since it’s still sort of early. This is just a guess, though. I know they mentioned on their FB that the holiday stuff is being put on their webstore soon so maybe you could do a big order then! I am considering buying a bunch of these and giving them out this Halloween…….wouldn’t that be adorable and unique? I agree with Gina–this is the best idea ever! I don’t know where to find the winter collection. 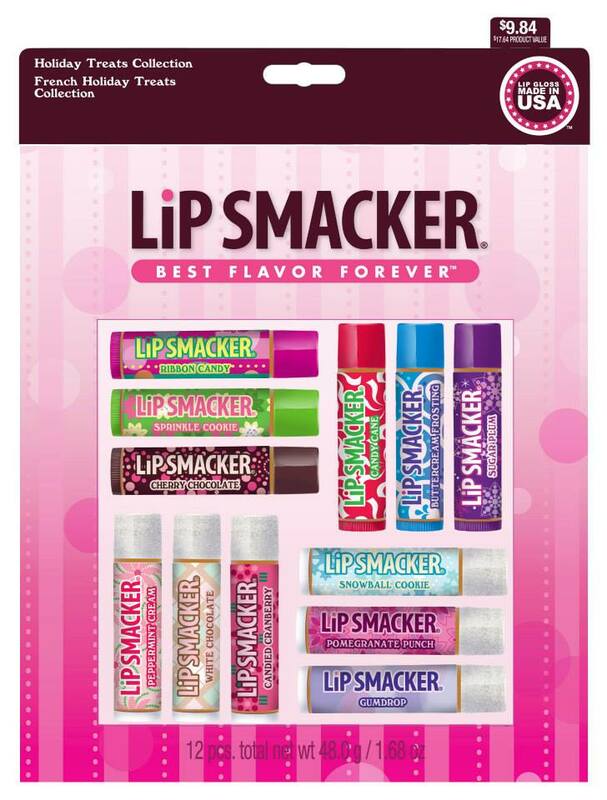 On the Lip Smacker’s website, it only shows seven of them. Please let me know where I can find them before Christmas if you can. Thank you! Hi! The winter stuff is supposed to be available at Target & Walmart, but I have a feeling a lot of stores roll out late.